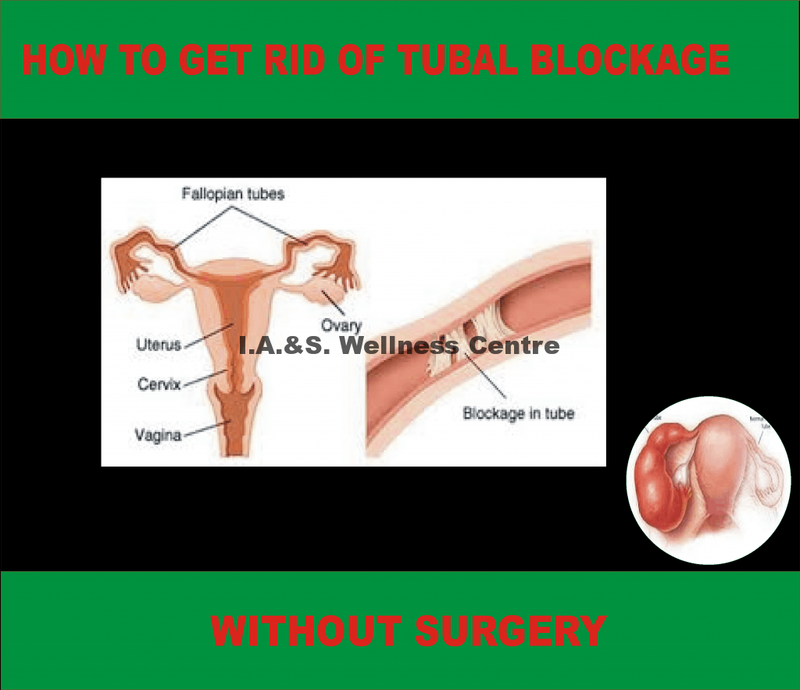 Natural Ways To Unblock Tubal Blockage naturally without surgery In Nigeria. We have 7 natural ways and 1 super-natural way to open blocked Fallopian tubes. Keep reading as we have revealed the secret. Almost 40% of infertility cases account from blocked Fallopian tubes. Very often, only one of the Fallopian tubes is blocked, with the other functioning normally. However, some women may have bilaterally blocked Fallopian tubes too. Since blocked Fallopian tubes are usually asymptomatic, they may go undetected until a woman is unable to conceive, and undergoes investigations to determine the reason for infertility. Most of the cases of blocked Fallopian tubes are reversible and can be cured naturally. We want to show you step by step strategies to unblock your tubes and conceive straight away. Scroll down to get started on one or more of the following natural measures and remedies to unblock your Fallopian tubes successfully. 1. DO YOU SMOKE AND TAKE ALCOHOL? Firstly, Quit smoking and drinking. Smoking and alcohol are two of the prime causative factors for such diseases and cessation. However, it’s not enough to reduce your consumption — it’s best to quit altogether. Smoking and drinking, apart from the health of your Fallopian tubes, is not good for your body, organs, skin, hair, teeth, or nails. Quitting these habits will improve your life quality overall. Meditation helps in reducing your stress levels which in turn promotes healing and overall good body health. Ideally, it would be most beneficial to begin your day with 10-15 minutes of meditation or mental relaxation techniques with breathing exercises. Even just a few minutes of finding your zen ensures a positive start to the day and makes you more capable to handle the stress throughout the day. More importantly, Less stress means lesser worsening of the inflammation that’s blocking the tubes. Take up yoga. Yoga is known to channelize the energies of your body in a harmonious way and bring about greater healing potential. The 2 asanas that would help promote fertility in women are Setu bandhasana and Viparita Karani, two poses that utilize the gluteal and pelvic muscles.To do this first pose (the “supported bridge pose”), lie on your back with the knees folded and use your muscles to lift your pelvis off the floor. Inhale as you lift the pelvis off the floor and bring it down as you exhale after a pause of 2 seconds.Viparita Karani or the “legs on wall pose” is another asana from the traditional Indian system of Yoga that helps improve blockages of the fallopian tubes. It involves lying on the back in contact with a wall on your side, while raising your leg of that same side straight up against the wall at a 90° angle. After a small pause of 2 seconds, bring it back down slowly. Consider fertility massage. Massaging the abdomen, a technique used by natural healers, could help unblock your tubes and improve their general health and functioning. Massage improves the blood circulation in and around the tubes, resulting in break-up of scar tissues and adhesions and decrease in inflammation. You can perform this therapy on your own: Lie down on an exercise mat with your face upwards and a pillow below your lower back. Relax and apply almond, olive, or lavender oil on your hands and massage over your pubic bone, as the uterus lies below this bone. Massage gently lower and lower and pull your abdominal wall towards the navel. Holding this position, count to 10 and release your hands. Repeat this maneuver 10 to 20 times. Do not do this if you are menstruating or pregnant. Also if possible, visit a massage therapist specializing in abdominal massage for better results. Avoid food containing hormones. Try to avoid things like animal meat as they contain hormones which can affect a woman’s hormones like estrogen. Replace them with foods that are high in anti-oxidants to help promote healing. Foods that are high in anti-oxidants are fresh fruits, vegetables (all kinds), vegetable oils like sunflower oil, safflower oil, coconut oil, mustard seed oil (olive oil being the richest). Tea, chocolate, soy, coffee, oregano and cinnamon are high on flavonoids (a type of antioxidant). Carotenoids are plant enzymes that have anti-oxidant activity and can cut down the free-radical build up in the body. Carotenoids can be stocked up by eating eggs, red-yellow fruits and vegetables like carrots, mangoes, bell peppers, papayas, citrus fruits, spinach, zucchini, etc. Take vitamin C supplements. Vitamin C is required for the absorption of iron. In addition, it boosts immunity and fights infections. If your Fallopian tube blockages are due to infections or inflammation, vitamin C may help clear them. Start by taking 1000mg vitamin C supplements 5-6 times a day. Vitamin C especially helps clear Fallopian blocks due to mycobacterium tuberculosis. However, if you experience diarrhea or any other complaints because of this supplement, reduce your dosage or stop completely. Rely on herbs. Certain herbs can help to kill any bacteria like yeast that may cause infection or prevent fertility. Prominent amongst these herbs are Dong Quai, chamomile, garlic, oleander, turmeric, red peony root, frankincense and calendula. Research conducted on the red peony root has shown to be rich in anti-oxidants. As we have seen above, this is probably the reason why it is prescribed in TCM to cure blocked Fallopian tubes. There are various combinations of such drugs available as infusions or supplements. One should not consume any of them without consulting a doctor or a skilled expert in the field and not fall far “miraculous” unverified claims. We treat Blocked Fallopian Tubes with natural medicine that are curative in nature. This kit is 100% natural without any negative side effect. We have a lot of testimonies from our clients already treated. We have treated and unblock hundreds of peoples Fallopian tubes using our Natural Fallopian Tubes solution kit. Research into natural medicines has discovered natural way to unblock Fallopian tubes without surgery. These natural medicines form our tubal solution kit. The Tubal Solution Kit is 100% compounded natural medicines that unblock blocked fallopian tubes naturally without surgery and without exposing you to negative side effect. Besides it will create an enabling environment for pregnancy to take place straight away. At I. A. & S. Wellness Centre, we have well trained staff members that will guide you. This entry was posted in Health articles, Health tips and tagged fallopian tube blockage, hormonal imbalance, inflammation, menstrual disorder, ovarian cysts, vaginal dryness.